ruthdelacruz | Travel and Lifestyle Blog : Win a Set of Pop Novels from LifeBooksPh! Win a Set of Pop Novels from LifeBooksPh! I want you guys to feel and spread the love and the beauty of falling in love! I am giving away 8 pop novels from LifeBooksPh! I honestly cannot remember the last time I have read one. 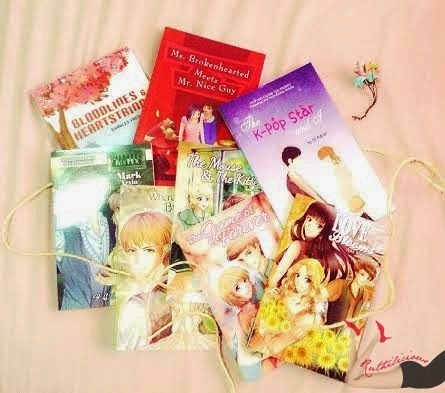 They say that girls who love to read pocket novels would end up being single .. because they have defined their ideal man from the different guys they met and encounter through these novels. Do you agree? I mostly read English chic-lits, but it is good to have a good exercise of Tagalog language by reading one of these pop novels. Plus, we get to support our local talents. Click Read More to know how to join! Congratulations to Remi Louise Rubio! Next giveaway is something for travelers and nice gear this rainy season! Win an Eyebrow Makeover and Brow Vitamins! © ruthdelacruz | Travel and Lifestyle Blog : Win a Set of Pop Novels from LifeBooksPh!